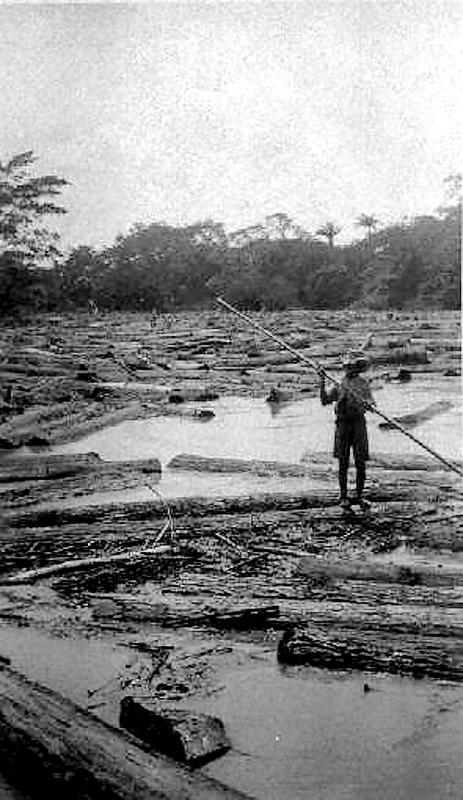 Mahogany logs hauled to the lagoon at Hill Bank in the "dry season" from March through May were put into the water and secured by a boom. They were then assembled into rafts of 400 to 500 logs for towing down the lagoon and river to the coast, and from there to Belize for sawing or shipping. The towing journey was about 200 miles. The 3-foot gauge railroad extended approximately 14 miles from Hill Bank into the bush cutting areas, with trucks and tractors hauling logs to the rail line.